CNN.com falsely reported Tuesday that Weekly Standard editor Bill Kristol agreed with Donald Trump's proposal to ban Muslims from entering the United States, and the site did not correct the story until nearly 12 hours later when a conservative journalist pointed out the error. 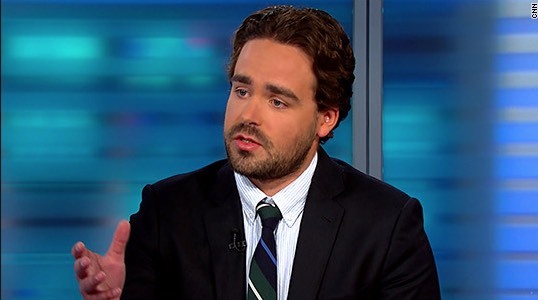 Media reporter Dylan Byers' article focused on BuzzFeed editor Ben Smith's memo to his staff that it was fair to call Trump a "mendacious racist" in its coverage of his presidential campaign. Byers initially reported, "Trump's policy proposal has been widely criticized by Republicans, Democrats and several members of the media, even as it has found some support among right-wing pundits like Rush Limbaugh, Ann Coulter and Bill Kristol." While Byers was right that Coulter and Limbaugh support Trump's controversial measure, Kristol said it was "important to save conservatism" from Trump's influence and "idiocy" in the wake of his latest incendiary remarks. Weekly Standard reporter John McCormack pointed out the mistake on Twitter. Byers apologized and took out Kristol's name. However, no correction was noted on the article as of 11 a.m., and Byers responded to a Free Beacon inquiry about the omission. "We're correcting the article," he said in an email. "I think these things take some time." Byers also said on Twitter that he had meant to write conservative writer Erick Erickson rather than Kristol, but Erickson tweeted that he did not back the measure but had instead argued it was good politics for Trump. @DylanByers@McCormackJohn@CNN@BillKristol Oh no, I wrote I agree with Russell Moore, not Trump, but the politics of it is good for Trump. This entry was posted in Politics and tagged Bill Kristol, CNN, Donald Trump. Bookmark the permalink.